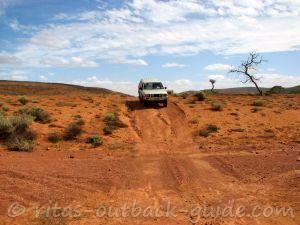 Discover the Channel Country while you travel along the Diamantina Developmental Road from Charleville to Mount Isa. The channel country covers the south-west of Queensland, a bit of the north-west corner of South Australia, and a small section in the north-west of New South Wales. Cooper Creek, the Diamantina, Barcoo and Thomson rivers, as well as their multiple shallow channels, are the main waterways that form this unique landscape. 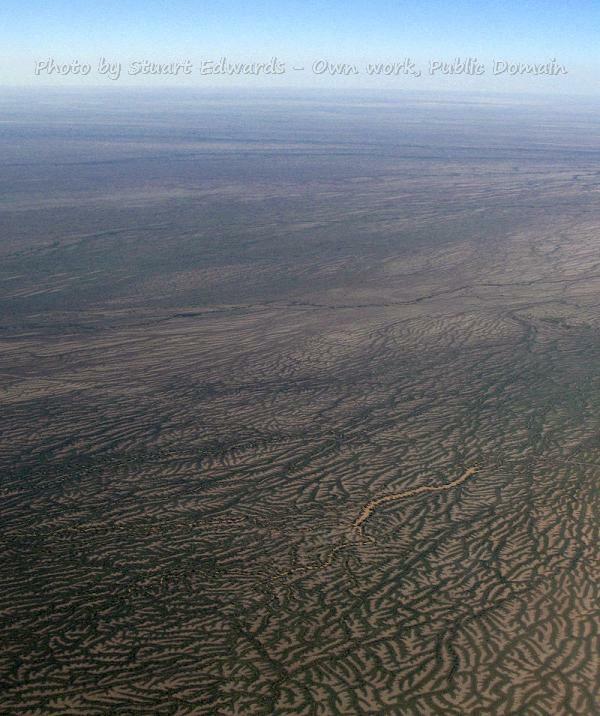 Rivers flow only intermittently, when they dry up after a flood, there are still strings of permanent waterholes left. After good northern monsoon rains in summer, the rivers flood and fill the channels. 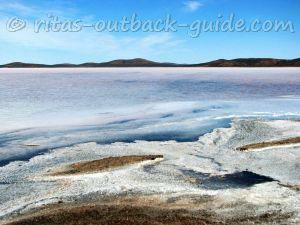 But only in very good seasons the water ever reaches Lake Eyre. The channel country only receives between 150 and 300 mm rain a year. 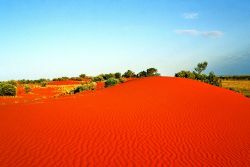 It is usually a dry, parched land you are travelling through. However, when the rivers flow, the landscapes change dramatically. Then cattle and sheep find lush areas to graze, and the station owners know that they're living in the luckiest country on earth. 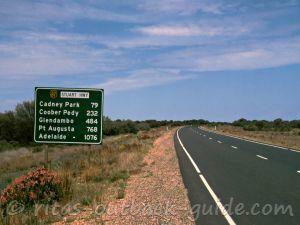 The entire road from Charleville to Mount Isa has a length of 1,368 km. It is a long and lonely drive on a mostly sealed (often single-lane) road. The few towns along the way are welcome stopping points and to discover local attractions. From the tree-lined channels to vast plains with rocky jump-ups, the landscapes vary while you travel north. 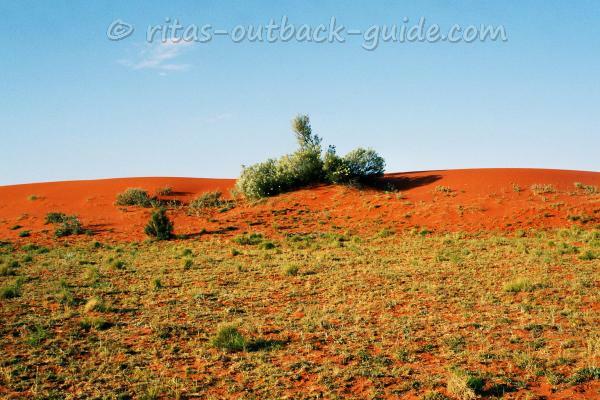 This is true Outback country with stunning vistas. 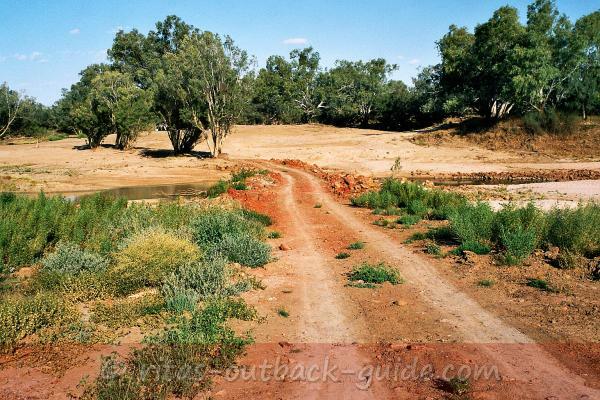 Watch out for cattle on the road, discover bird life in the waterholes, enjoy a trip to the most remote places in Queensland. 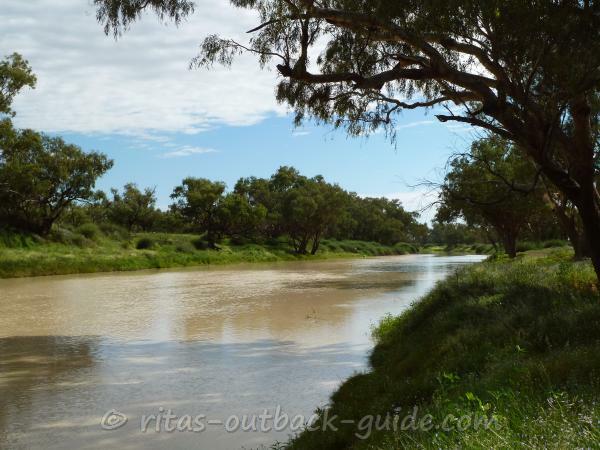 The Diamantina Developmental Road crosses several of the rivers in the Channel Country. Although most of the road is sealed (there are long dirt sections between Windorah and Boulia), this doesn't help when the rivers and channels flood the area, and the roads. It is important to check the weather reports and road conditions before you go. Below are some links to download local road reports (PDF) from council websites. 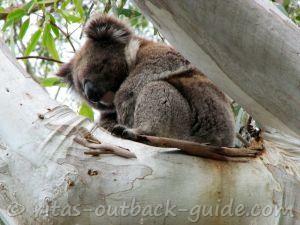 Barcoo Shire for Windorah, Jundah and Stonehenge. Quilpie Shire for Quilpie, Eromanga, Adavale and Toompine. 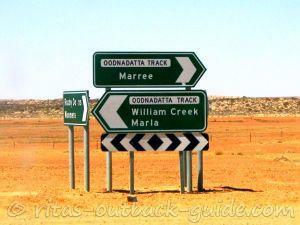 Diamantina Shire for Birdsville, Betoota and Bedourie. 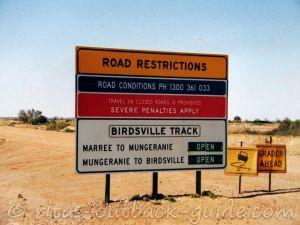 The section from Windorah to Bedourie is the longest stretch without any facilities. It is also the part with the most unsealed patches. 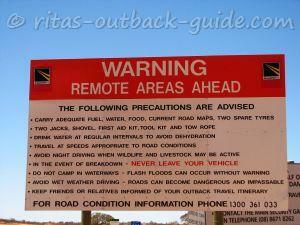 The road crosses the channels and riverbed of the Diamantina, so check road and weather conditions before you go. To help you plan the journey, this distance chart tells you how far it is from one town to the other. 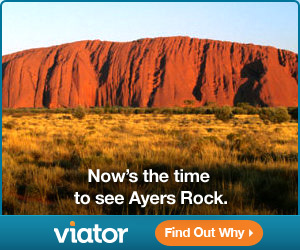 Quilpie offers quite a few attractions. 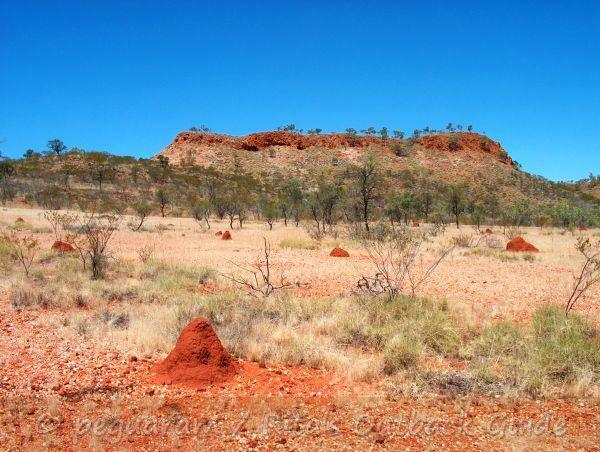 Visitors can try their luck at the Opal Fossicking Area, take a walk along the Bulloo River, or drive to Lake Houdraman. Don't miss St. Finbar's Church with its opal altar. 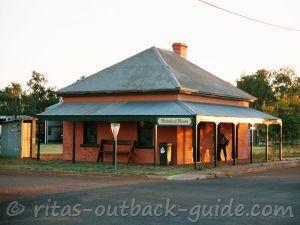 Windorah is a welcome stop for travellers. 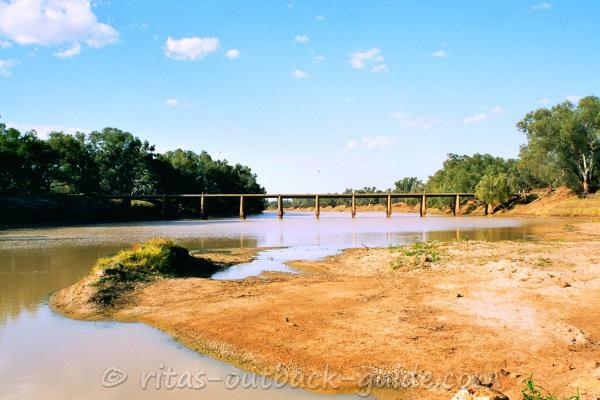 Did you know that just 35 km north of the town the Barcoo and Thomson Rivers form Cooper Creek. Where else in the world do find two rivers that form a creek? And this can be a mighty creek at times. The sand hills outside Windorah are a lovely spot for stunning sunsets. 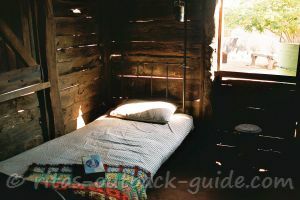 Bedourie is the westernmost town in the Channel Country, situated on the Georgina River. From here the Diamantina Developmental Road turns straight to the north. 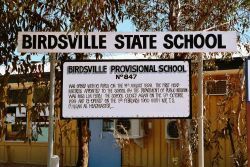 Click here to read more about Bedourie and the way south to Birdsville. Boulia is a fascinating little town, home to the eerie Min Min Light and the annual camel races. Want to know more about the Min Min Light? 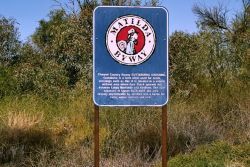 Here's more info about Boulia. 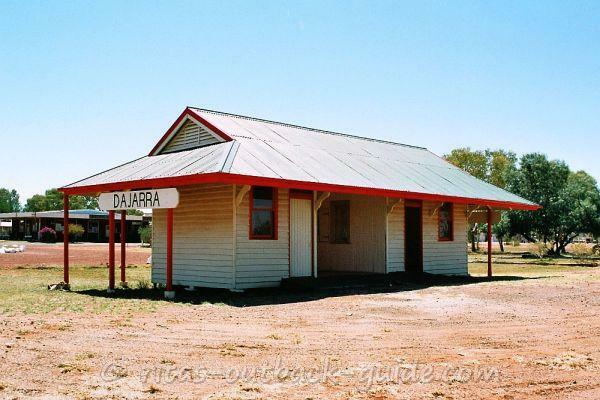 Dajarra was once an important railway station and the largest cattle-trucking depot in the world. 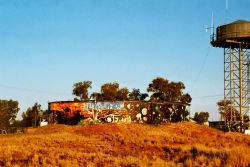 Large herds were driven into town, mainly from the Northern Territory, and then transported to the eastern markets by train. Trucks finally replaced the railway. In Mount Isa, the mining city in the far north-west, the journey along the Diamantina Developmental Road and throughout the Channel Country comes to an end. 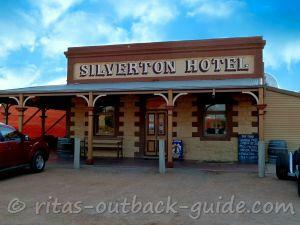 Outback Queensland is a land of extremes. Droughts and floods are facts of life, unfortunately, they rarely get it right. In early February 2019 large areas in Queensland north-west were hit by huge rainfalls. 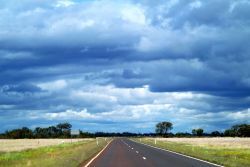 In a line from Townsville inland to Mount Isa some areas received more than 400% of their normal February rain. When the rain started, most farmers in the north were jumping for joy. It was the first decent rain after 7 years of drought. But the joy didn't last long. 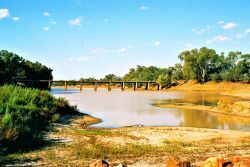 After a few days wide areas in the northern Diamantina catchment were flooded, and up to 500,000 cattle feared to be dead. What was a disastrous event for people in the north, turned out to be a joy for the drought-hidden stations in the south. As the flood waters moved down and inundated the Channel country, the parched land came to new life again. This was in October 2010, everything was lush and green with heaps of wildflowers. It was good to see that decent rain can make a difference to the drought-stricken land. Looking for a camper for the big trip? 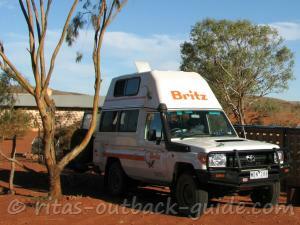 Discovery Campervans offers the leading brands: Brits, Maui, Kea and many more. Compare and get rates from one website.